Lots of work to catch up. Always. This was for United Airlines’ first class magazine, Rhapsody. 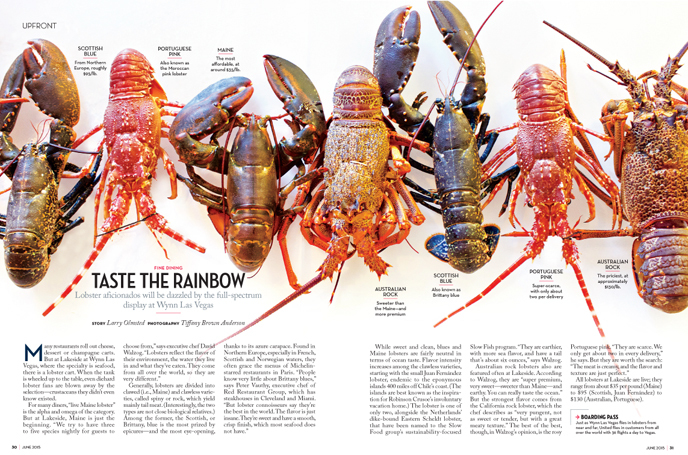 Turns out working with the royalty of lobsters makes for nervous chefs and PR reps. You have to check out the prices on these babies. Glad everyone was happy with the results! I was hungry for lobsters for weeks.